I have virtually all of the "supersteels" in my shop and access to others for your special needs. 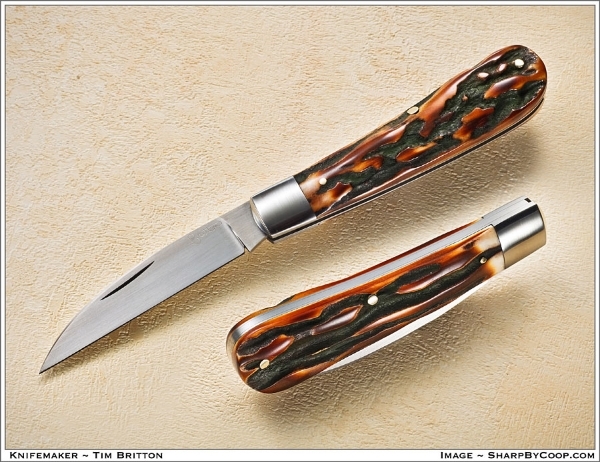 All handle materials, from lapis lazuli to Fiji fire pearl to the most common canvas micarta is handpicked by me from suppliers at shows or in their shops. 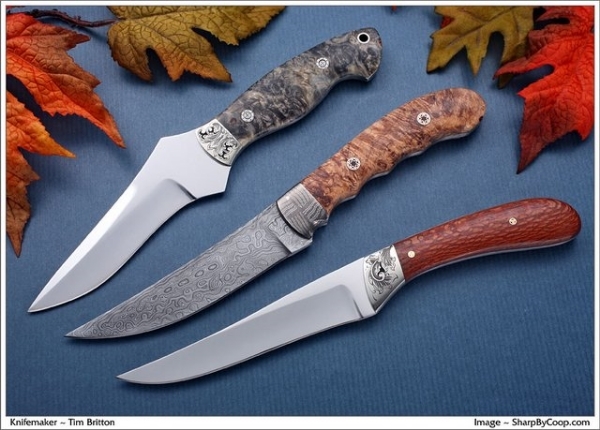 You are assured of the finest steel, hand-picked premium handle materials and my unconditional money back guarantee in the event that you are not completely satisfied with your Britton Knife. My steel preference is still bg42 but I am unable to locate a dependable source of bar stock in the right sizes. I am seriously evaluating S35VN as an alternative. So far I am very impressed.. looks as if this will become my primary steel. 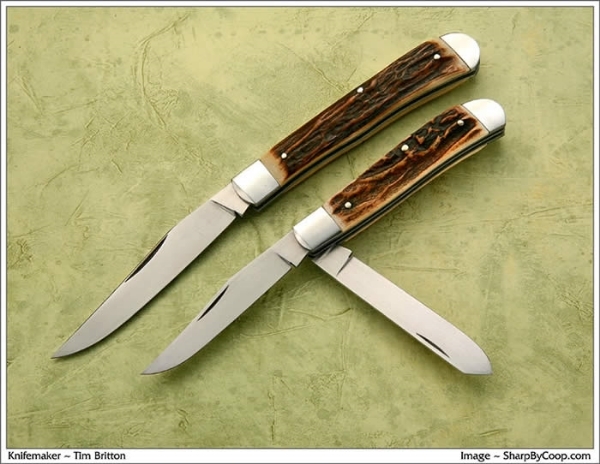 Please feel free to contact me at any time to discuss your personal needs in custom cutlery.